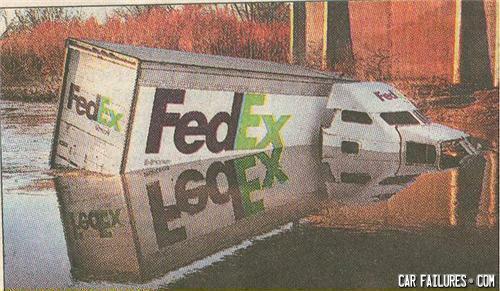 Fedex - now shipping to Atlantis. Good thing too, Sponge Bob needed a new home. Found your keys right here. found em'. Overnight or Underwater. On time. Everytime. Delivering a new home to MR. fishy! Now. Where did that bridge go? How did the frog fly? It drank a magic potion. How did the snake fly? How the the eagle fly?